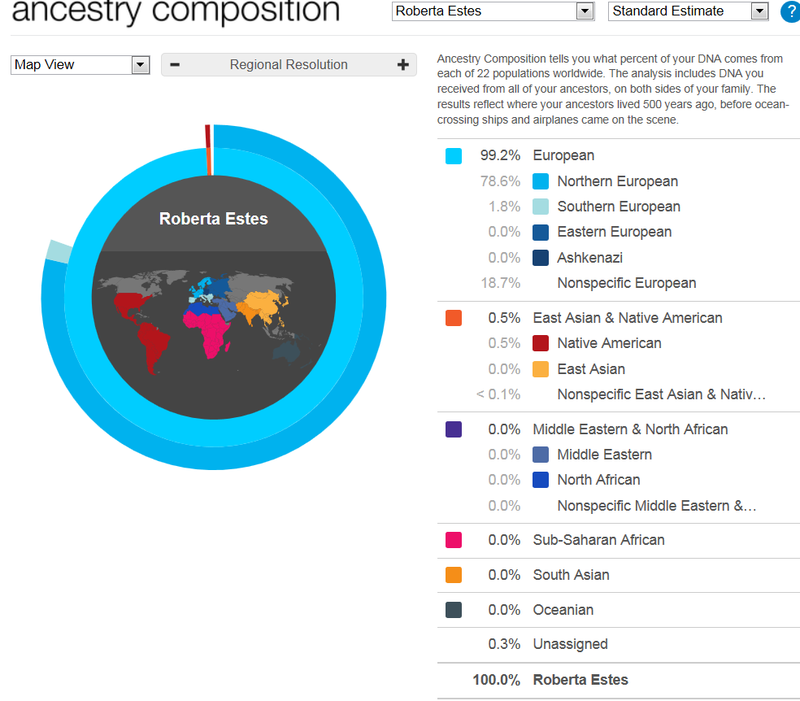 On my blog, www.dna-explained.com, I’ve been writing a series titled “The Autosomal Me.” Autosomal DNA testing is the type of DNA testing that provides testers with percentages of ethnic admixture, including Native American. I’m often asked about which testing company is “best” and how to determine Native admixture, what tribe, and how much Native heritage a person has. There are really two answers to those questions. First, there is no reliable, reputable test that will give you a tribal affiliation. I wrote an article titled “Proving Native American Ancestry Using DNA” that addresses numerous questions about DNA testing and Native American heritage. I hope you’re following along and enjoying the series. This entry was posted in DNA. Bookmark the permalink.